An international religious leader, philosopher, award-winning author and respected moral voice, Rabbi Lord Jonathan Sacks was recently named the winner of the 2016 Templeton Prize in recognition of his “exceptional contributions to affirming life's spiritual dimension.” Described by H.R.H. The Prince of Wales as “a light unto this nation” and by former British Prime Minister Tony Blair as “an intellectual giant”, Rabbi Sacks is a frequent and sought after contributor to radio, television and the press both in Britain and around the world. Rabbi Sacks is the author of over 25 books. His most recent work, Not in God’s Name was awarded a 2015 National Jewish Book Award in America and was a top ten Sunday Times bestseller in the UK. Past works include The Great Partnership and The Dignity of Difference, winner of the Grawemeyer Prize for Religion in 2004 for its success in defining a framework for interfaith dialogue between people of all faith and of none. In recognition of his work, Rabbi Sacks has also received the Jerusalem Prize in 1995 for his contribution to diaspora Jewish life and The Ladislaus Laszt Ecumenical and Social Concern Award from Ben Gurion University in Israel in 2011. He was named as The Becket Fund’s 2014 Canterbury Medalist for his role in the defense of religious liberty in the public square. 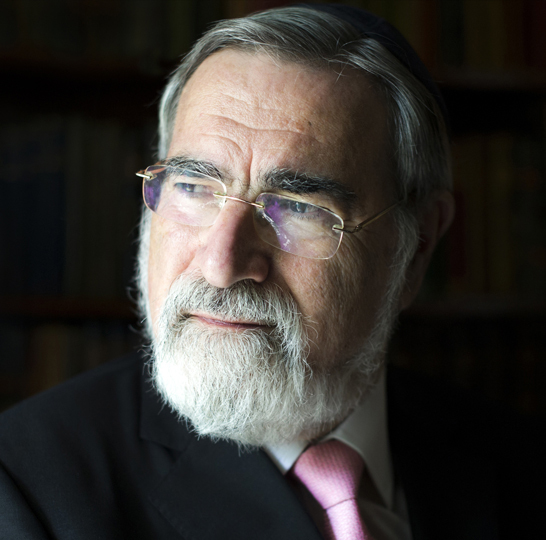 Rabbi Sacks was knighted by Her Majesty The Queen in 2005 and made a Life Peer, taking his seat in the House of Lords in October 2009.